You'll explore the less-touristy side of things at Chanderkhani Pass and Bhrigu Lake. Venture out of the city with trips to Naggar (Tripura Sundari Temple & Naggar Castle) and Naina Bhagwati Mandir (in Manikaran). 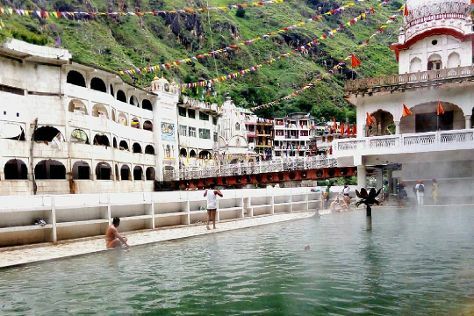 And it doesn't end there: look for all kinds of wild species at Rani Nallah, take in the spiritual surroundings of Manikaran Gurudwara, appreciate the views at Solang Valley, and stroll through Solang Nullah. To see reviews, other places to visit, traveler tips, and more tourist information, read our Manali trip itinerary maker site . Finish your sightseeing early on the 1st (Fri) so you can travel back home.